In honor of The Dark Knight Rises, and in solidarity with our fellow cat ladies across the globe, we are here to declare that we love cats and are not afraid to show it! 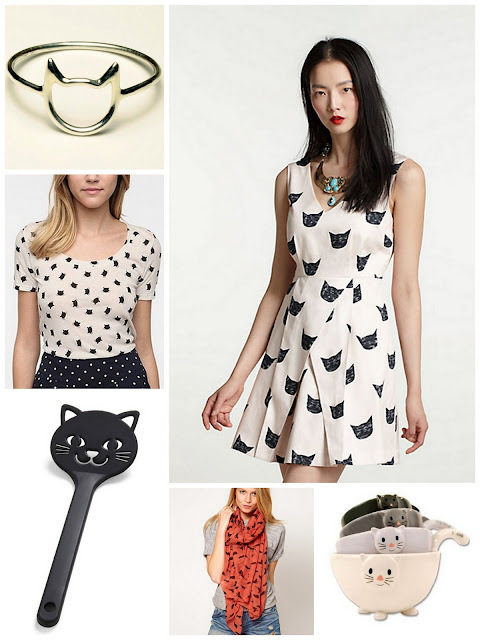 Kitty printed clothing, accessories, decor -- we want it all. And sure, some cat themed items can appear to be juvenile or excessive, but we think a tasteful item or two can really liven up your look. So here are some items that we think are fun and stylish, yet still simple and discreet enough to be part of your grown-up lifestyle. Kitty Pryde!